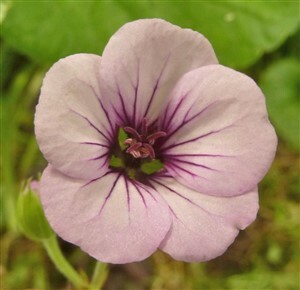 Geranium 'Storm Chaser' A new one from Alan Bremner's breeding in the Orkneys. A mound forming ground cover type but with good vigour (but not too much) and producing many lilac pink flowers with a dark magenta purple eye & veins. For sun or partial shade, free draining soil.